Gather round the iPad and stream your team! 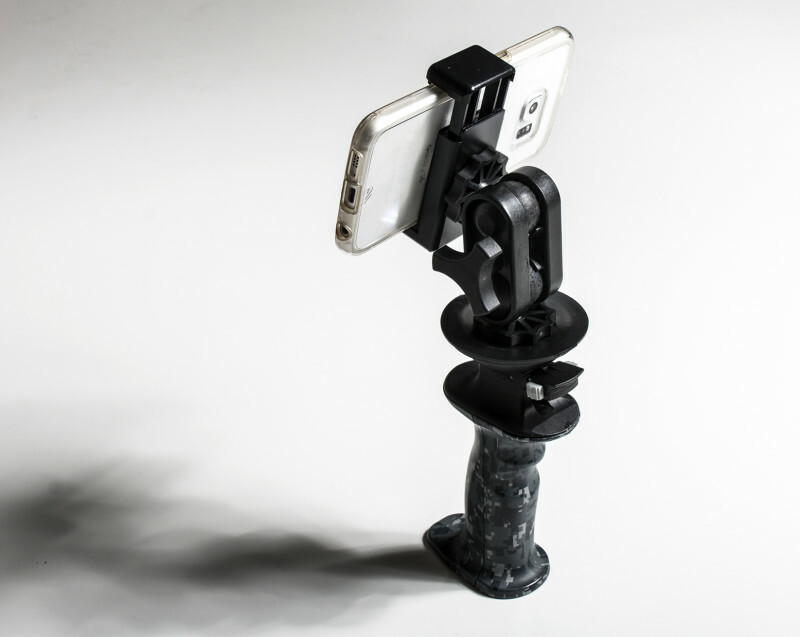 Whether you own an iPad, Smart Phone, GoPro or other camera gear, the Gerp is a handy and versatile companion which makes holding and mounting devices simple, convenient and fun! Do like to binge watch Netflix in bed? 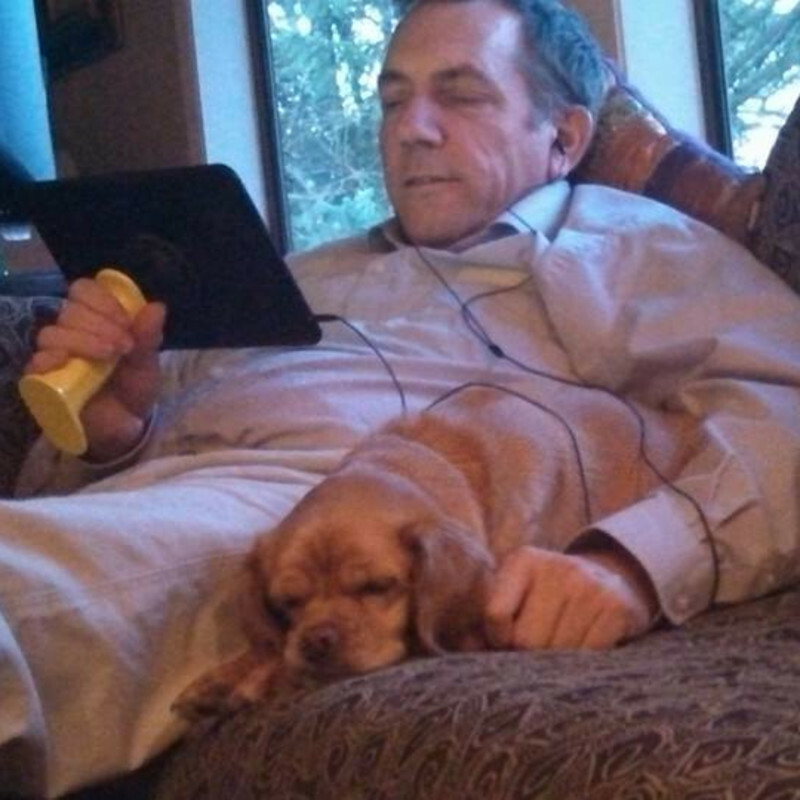 Easily find a more comfortable position while reading on your device. Use it as a stand and forget about propping up your tablet with pillows. 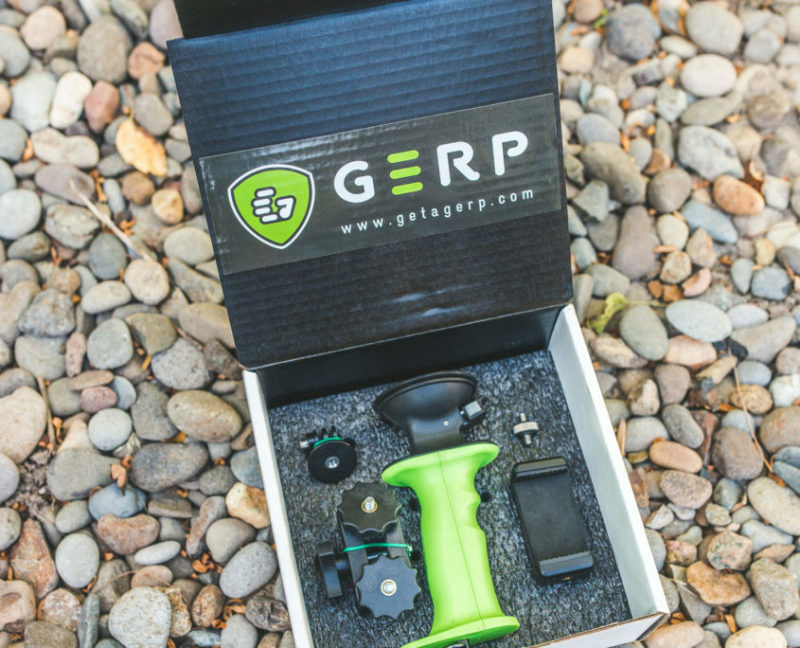 Once you use the Gerp you will wonder how you ever lived without it. Are you an artist, student or creative type? Get a steady and comfortable grip on your tablet while using your stylus, take notes at school or at a business event. 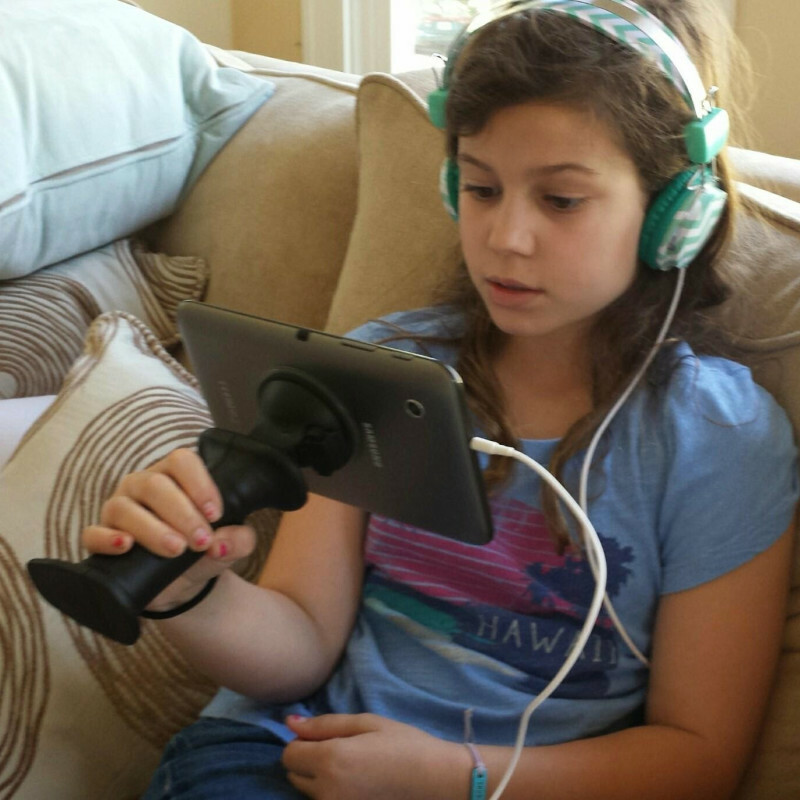 Make it easy for your kids to play their favorite video games, and watch educational programs. Do you enjoy sharing pictures and videos? 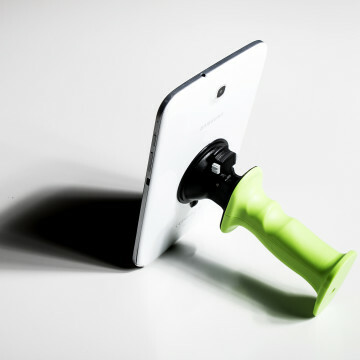 Gerp is a multi-purpose pistol grip and versatile mount for smartphones, cameras, tablets and more. Here are the details. Ergonomic design to alleviate stress on hands and wrists, reduce fatigue, and protect from injury. 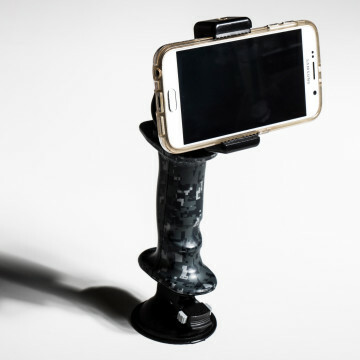 Heavy-duty, ultra-secure ratcheting suction cup for hands-free mounting. 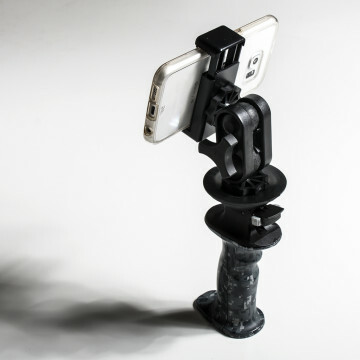 Universal threaded 1/4-20 adapter mount for any type and size device. Combined hands-free stand and pistol grip for multi-dimensional purposes. 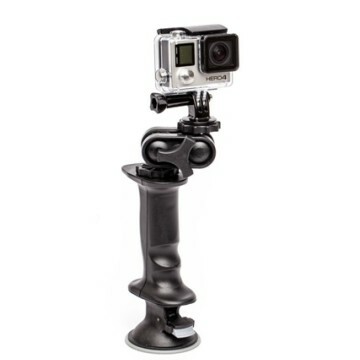 Ideal for use with GoPro users as both a mount and grip. My Gerp is always attached to my iPad. It makes using my tablet so much easier. It's especially handy when I'm face timing with my Grandsons! Join the Gerp email list!